We are pleased to introduce the new “GLR100” alphanumeric weight repeater, designed to revolutionise standard weighing applications by using the latest RGB LED technologies. 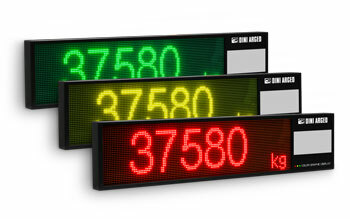 The LED matrix display shows fully customisable messages, which guide an operator through tasks to simplify them. This is ideal for dosing, weight control and vehicle weighing applications. Approved version available on request.